Are you in the market for something with lots of utility — either a truck or an SUV? There are many options available, and you’ll likely start with a favorite manufacturer or a top-rated vehicle. If these standards sound about right, add the 2017 Dodge Durango to your list (if it’s not there already). This mid-sized SUV has plenty to offer in terms of engineering, technology, and fun. Here are some reasons why you should take another look at this vehicle. Depending on the trim you select, the 2017 Durango can carry up to seven passengers. There’s also plenty of legroom and space to carry items. The trunk area offers 17.2 to 47.7 cubic feet of cargo volume, and if you include the seat area by folding down the third row, you’ll enjoy the maximum 84.5 cubic feet of space. Combined with its high towing capacity and the available V-8 engine, the 2017 Durango has all the room and power needed to transport many people or lots of cargo. When you look at the Durango, it should come as no surprise that it’s a spacious and powerful vehicle. It’s fuel economy, however, may be a pleasant surprise compared to other vehicles in its class. The 3.6-liter V-6 engine has 295 horsepower and gets up to 26 miles per gallon on the highway, and the 5.7-liter V-8 engine has 360 horsepower and gets up to 22 miles per gallon on the highway. The variety of optional equipment available may also be a welcome surprise. 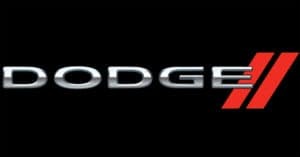 As you build your 2017 Dodge Durango, you’ll get to pick from seven trims and have access to several packages. Optional third-row seats and a rear DVD entertainment center are ideal for drivers with young children, and the safety/security convenience group is a must, if safety is your priority. UConnect technology is also available on the SXT, GT, Citadel, R/T, and Citadel Anodized Platinum trims. Note that the SXT has the 5.0 version of this system, but all others have the 8.4 iteration. The Citadel, R/T, and Citadel Anodized Platinum also come with an 8.4-inch touch-screen with 3-D capability. The Durango has more than 60 standard and available safety and security systems, so it’s worth a second look just to go over all the options available to you. If you need an SUV for its power and utility, reconsider the 2017 Durango. Both the 3.6-liter Pentastar and the V-8 Hemi engines provide ample power. Plus, depending on the trim level and the hitch you choose, the Durango can tow up to 7,400 pounds. This is sufficient for an RV or a large watercraft, meaning this SUV can take you where you want to go for some outdoor fun. Indeed, the 2017 Durango has an impressive combination of power, utility, space, and surprising tech and safety features. If you’re still deciding on a make and model, plan a test drive to see how it feels behind the wheel of this mid-size SUV.